Some summer camps are so creative original that you can’t fit them into a category. This week we found three camps that we really wanted to showcase here on the Upper Valley Connections blog. As always, I wish I were a kid again, so I could take part in these! Each summer, like millions of kids before me, I would go to the circus and briefly, ever so briefly, want to run away. The Big Apple Circus, formally held in Hanover, would catch my attention every year with its plethora of clowns, animals, and acrobatics, and leave me wishing for more for days after. For children and adults in the Upper Valley who are eight and older, many a child’s dream can come true! The over 10 year old camp, taught by Ted Lawrence, who is a former Ringling Brothers clown, teaches everything circus, tight-wire, trapeze, acrobatics, you see it at the circus, you’ll be learning it here at the Plainfield Elementary School. “It’s the real deal, it’s an absolute circus,” said Betsy Duany, a friend of Ted’s who helps out with the local camp. Betsy said the camp teaches so much more then circus skills. Participants will gain team building skills, and much more. The camp runs from Tuesday July 5th to Saturday July 9th, then picks up again on the following Monday, July 11th, with a community performance that anyone can attend on Friday July 15th. “People are blown away by the performance,” Betsy said. There is a small fee to attend the performance, and the two week camp is $500. For more information and how to register contact Betsy at duany@duany.com or call 603-298-7667, for information on Ted go to slapstickscience.com. For the camper who wants to try out some alternative sports there’s Whaleback Mountain’s Zero Gravity Camp. The camps are primarily run from Hartford. Participants skateboard, bike, and in line skate, amongst other activities. There are camps available for children as young as five, and as old as 17. Zero Gravity holds half day all day sleep away camps. 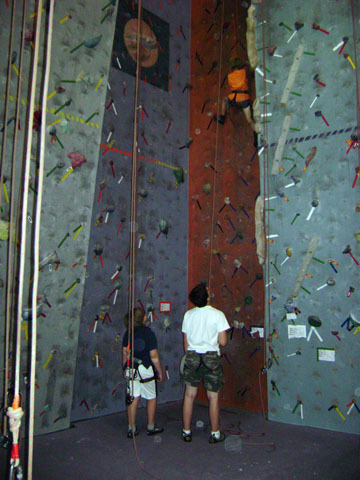 Activities can range from rock climbing, paintball, and trampoline, said director Evan Dybvig. The camps have access to the Hartford Pool for activities as well. “Our focus is providing a good introduction to the sport, [one] that is safe,” said Dybvig. The children are supervised at all times, coached by a varity of levels of coaches. 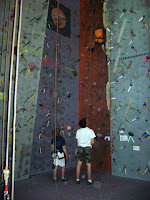 To find more information, or to sign up for the camp go to www.whaleback.com/camps. Summer Days Camp, the last of our three showcase camps for this week, is a throwback to the days when children played. I mean really played. When they created their own sand lot baseball teams, their own designs with glued popsicle sticks, and let their creativity shine. It is a camp that celebrates the summer days of the past, with a multi age group of children together, like the old fashioned neighborhood. Unlike most structured activities in a child’s life, Janna said children are allowed to stay at each activity for as long as they like. “An example of this are the Zip Lines. 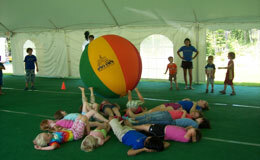 They are part of the Fair Play piece of camp and incorporate gross motor skills, risk and control. A child may stay at the zip lines for as long as they want, as many times as they like and from the height that they feel comfortable,” Janna said. In Kitchen Science children have just as much freedom. They mix as many ingredients as they like into their creation, and they work on their fine motor skills while stirring and pouring. At Art Smart different materials will be out for the children to work with each week, or sometimes each day. Glue guns are available for children to piece together their work. I think the most interesting thing about Summer Days Camp is the Leader In Training program, where children take on more and more responsibilities interacting with younger campers until noon each day. In the afternoon, they can choose to return to activities of their choosing. Level two leadership campers families only have to pay half of the camp costs, and level three campers (this distinction can be reached by campers ages 12 and 13) can attend camp free of charge. At 14 that child can be a camp counselor.